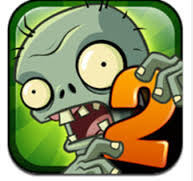 Recently, we mentioned all the negative reviews surrounding the new “Plants Vs. Zombies 2.” Turns out we’ve been had. There’s a band of consumers who hate what they call “freemium” apps. These are apps that start with a free download but soon offer game stuff for sale. Freemium haters give a high rating to all reviews that attack these games; this pushes negative reviews to the top. 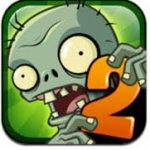 So for Plants Vs. Zombies 2, all we saw were negative reviews. But game sites like IGN, Gamespot and Kotaku give the game an 87/100 score or 4.5 out of 5 stars. This reminds us to be wary of all user reviews. You never know if the person providing the review is connected to a rival company, has an axe to grind, or is just unpleasant. The same applies to favorable reviews: are they the programmer’s best friend, a sister-in-law, etc. At least on Amazon, some reviews are signed with a person’s name, and you can check their other reviews. But we’re leery of those too. Bottom line: online reviews have become unreliable.